Just a few hours’ drive from Jakarta, Bandung, also known as the Paris of Java, is a booming metropolis in Indonesia. This beautiful city lies on a river basin surrounded by volcanic mountains, making the city cooler in temperature year-round than most other cities in Indonesia. Bandung used to be filled with tea plantations during colonisation by the Dutch, but today it has evolved into a resort city filled with restaurants, cafes, luxury hotels, and fashion boutiques that give the city a lively edge. Combine all that with its scenic surroundings, you have a place with plenty to see and plenty more to do. Below are some key activities to help you make the most of your visit to Bandung. Kawah Putih, also known as the white crater, resides 2 hours away from Bandung City Centre. It is a beautiful sulphuric turquoise lake that comes from a volcano. The lake is surrounded by a collection of mysterious looking skeletal trees, making it a perfect spot for those surreal photography sessions. It takes about half an hour to explore the entire area. So, make sure you have with you a light jacket as the temperature can be quite cold up there. Dusun Bambu is about a 30 minutes drive from the North of Bandung and is an open concept eco-retreat spot set in the midst of a forest. Visitors come here to enjoy tranquility and peacefulness within the embrace of Mother Nature. Facilities within the enclosure include a park, cabins, outdoor pools, a lounge, a garden, and cafes among other family-friendly activities. Do visit the Burangrang cafe to have a great meal served to you while you enjoy the backdrop of a beautiful view of the mountains and lakes. As we mentioned earlier, Bandung is known as “The Paris of Java” for a reason. It was the Dutch colonials who conferred Bandung with this colloquial title due to its advanced art and cultural scene, exquisite nature and other geographical similarities that they observed. The Dutch’s obsession with Bandung had inspired them to develop the town and pepper it with European-style buildings. Braga Street is one of these Dutch architectural heritage masterpieces, now bustling with restaurants, bars, and cafés. This street is known as a shopping paradise, where you can get clothes from local designers. Famous for its cheap but good-quality fashion products, Cihampelas Walk has a good mix of classy malls and old-school street markets which will make your shopping experience an interesting and colourful affair. Trust us when we say that you will be bringing home a lot of big shopping bags and an even bigger smile. Between exploring the scenic city to shopping until you can’t feel your feet, you should also consider taking your time to relax and indulge your senses within South East Asia’s leading traditional Thai massage chain – Thai Odyssey. Now open in Bandung, this luxurious Thai sanctuary offers the best variety of authentic Thai massage services to choose from, such as Traditional Thai Massage, Thai Herbal Therapy, Thai Aromatherapy Massage and even a 1-hour Traditional Foot Massage to enhance your relaxing experience and promote well-being and inner tranquility. In conjunction with the outlet’s opening, purchase with E-cash and enjoy an additional 10% discount on top of extra discounts from the E-cash privilege programme. Visit this exclusive spa village concept sanctuary soon as the promotion is valid until 15th June 2018. Also, follow Thai Odyssey on Facebook to stay connected and get more new offers. After indulging your senses with a relaxing massage, it is only right to indulge your stomach too. We recommend going for a more authentic and localized dining experience, and the best way to do so is through street food. A trip to Bandung will not be complete without a plate of siomay (Indonesian steamed fish dumpling) or Batagor (fried bakso taufu), both served with peanut sauce. 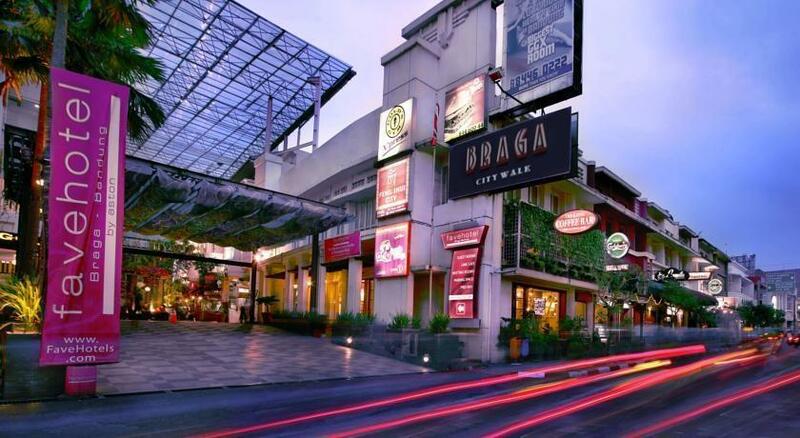 You can find a wide selection of tempting street food restaurants along Riau Street.